Amaranthus blitum Reichb.Ic. ex Steud. Plants annual, glabrous. Stems ascending to prostrate, sometimes erect, simple or branched, sometimes radiating from base and forming mats, 0.1-0.6 m. Leaves: petiole usually equaling to 2 times as long as blade; blade ovate or obovate, 1-6 × 0.5-4 cm, base tapering or cuneate, margins entire, plane, apex distinctly emarginate to almost bilobate, mucronate. Inflorescences slender terminal spikes or panicles and also axillary clusters, in some forms only axillary clusters are present; spikes erect or sometimes reflexed, green , leafless at least distally. Bracts of pistillate flowers lanceolate, inconspicuous, 0.5 mm, shorter than tepals. Pistillate flowers: tepals 3, elliptic or spatulate, not clawed, equal or subequal, 0.8-1.5 mm, margins entire, apex broadly acute; style branches erect; stigmas 3. Staminate flowers clustered at tips of spikes; tepals 3; stamens 3. Utricles compressed, subglobose to obovate, 1.2-2.5(-3) mm, exceeding tepals, smooth or faintly rugose, indehiscent. Seeds black or dark reddish brown, subglobose or broadly lenticular, (0.8-)1-1.8 mm diam., smooth, shiny, filling fruit almost completely. Flowering summer-fall (almost year-round in tropics, subtropics). Waste places, fields, roadsides, other disturbed habitats; 0-1000 m; introduced; Ont., Que. ; Ala., Calif., Fla., Ga., La., Md., Mass., Miss., N.H., N.J., N.Y., N.C., Ohio, Pa., S.C., Tex., Utah, Va.; Central America; South America; Eurasia; Africa. The name Amaranthus lividus has been widely used for A. blitum, in addition to other Linnaean names (see F. Fillias et al. 1980; J. P. M. Brenan and C. C. Townsend 1980; R. K. Brummitt 1984). Amaranthus blitum is of tropical origin and not common in temperate regions. It has been cultivated in Europe as a minor leaf-vegetable crop, but now it is declining and its range is becoming progressively smaller. In many temperate countries (in particular in Europe), A. blitum persists mostly as an uncommon and sporadic weed in greenhouses, ornamental gardens, and flower beds. 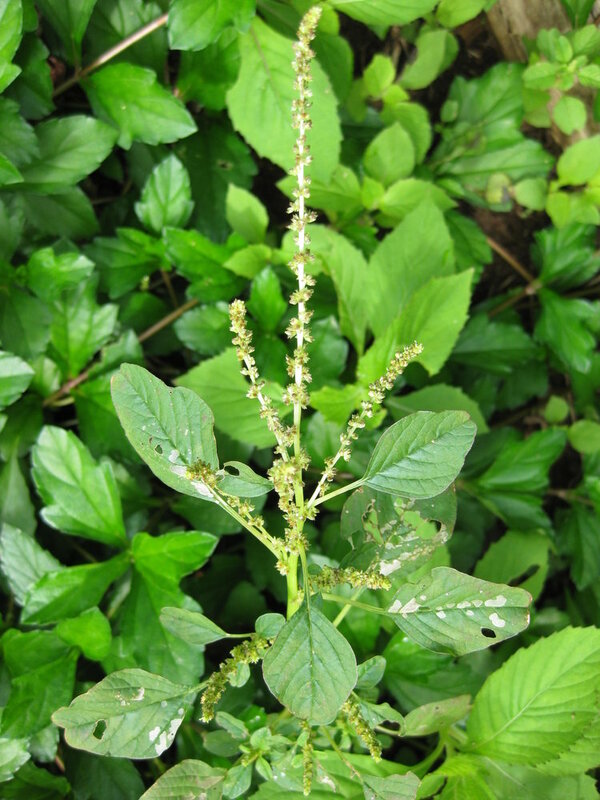 In Europe, it may be possible to distinguish two or three subspecies within Amaranthus blitum. The occurrence and distribution of infraspecific taxa of the A. blitum complex is insufficiently known in North America and requires additional floristic and taxonomic studies, although it appears that the most common is subsp. polygonoides (Moquin-Tandon) Cattetero. 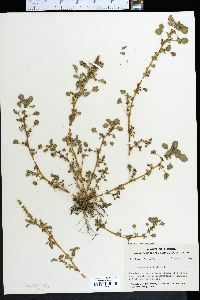 Some literature records of A. blitum from southern regions of North America are misidentifications of A. viridis, and vice versa; because of that the distributions of these two species in the flora area require critical reassessment.